Nurses are directly involved in the delivery of patient care and have a responsibility to minimize cross infection between patients. The NSW Nurses Registration Act contains a clause that directs nurses to comply with the infection control policies of facilities at which they are employed. The ability to comply with policies, which often vary between facilities, is independent upon a sound knowledge of infection control principles and disease transmission that is grounded in practice application. The curricula of undergraduate nursing programs have a responsibility to ensure that program participants are provided with this combination of knowledge and practice. Approximately 80 new graduate nurses, from up to 17 different universities and with a broad range of clinical practice backgrounds, commence employment at Central Coast Health (CCH) NSW, Australia on an annual basis; Central Coast Health (CCH) comprises four campuses with a total number of beds in excess 700 and has a teaching affiliation with the University of Newcastle. A number of sub-optimal infection control practices by new graduate nurses had been reported across time and cohorts from a variety of clinical sources. Educational strategies where utilized during the orientation of new graduate nurses over a study period of 03 years in an attempt to improve infection control practice. Results suggest that while knowledge levels remained relatively unchanged following educational interventions, that actual practice of infection control principles in the clinical setting was improved as a result of the use of vignettes which comprised a significant component of the interventions. Hospital acquired infection (HAI) is a major health problem today. Although it is difficult to assess the exact incidence of hospital acquired infections in our hospitals, ample evidence exists to indicate the magnitude of hospital acquired infections and related problems. Most often it is observed that the patients comes to the hospital for treatment of a particular ailment but has acquired infection prolonging his/her hospital stay sometimes lading to septicemia, multi system organ failure and death. Hospital acquired infection (HAI) not only prolongs the hospital stay of patients but also increases bed occupancy and therefore puts extra burden on already strained hospital resources. However, Hospital acquired infection (HAI) can not be eradicated entirely because of the fact that whenever more than one patient is taken care of in one place, they are vulnerable to catch infections from each other. The literature also reveals that patients in high dependency areas such as intensive care units (ICUs) are 5-10 times more likely to acquire HAI. Because of their compromised defense mechanisms. HAI are not only the problem of the patients but also patient’s families, hospital staff and the community. Thus hospital acquired infection control is of prime importance in any hospital offering comprehensive health care. Nurses being in direct contact with the patients round the clock and performing various nursing procedures and assisting physicians and surgeons in various procedures, play an important role in preventing and controlling HAI. Therefore, the need for a high degree of awareness, knowledge and skill in nursing practice is essential to prevent hospital acquired infections. Hence, it was felt that there is a need to assess the existing knowledge and practice of nursing staff towards infection control measures at AIIMS hospital (tertiary care teaching hospital) with a view to identify the areas of knowledge and practice deficit and to strengthen those areas by establishing appropriate measures. Surgical adverse events contribute significantly to postoperative morbidity, yet the measurement and monitoring of events is often imprecise and of uncertain validity. Approximately two million nosocomial infections occur annually in patients admitted to acute-care hospitals in the USA. Factors that should be considered in setting national priorities for nosocomial infection prevention and control efforts include incidence, mortality, prolongation of stay, cost of treatment, an potential for prevention of infections at different sites. National nosocomial infection priorities in the USA cover infections caused by emerging pathogens, infections at selected sites including the bloodstream, infections in intensive-care units, infections resulting from contaminated devices and products, development of the capability to analyze surveillance data in a timely fashion, dissemination of information on effective prevention strategies to information control personnel, and training of infection control personnel, including physicians. The mechanism used to disseminate information on effective strategies is the series of CDC `Guidelines for the prevention and Control of Nosocomial Infections`. These guidelines address prevention of nosocomial infections at the four major’s sites, hand washing and environment control issues, infection control in personnel health, and isolation precautions. The study was an attempt to assess the knowledge and practices among the senior staff nurses about post operative infection control in a specialized hospital of Dhaka. 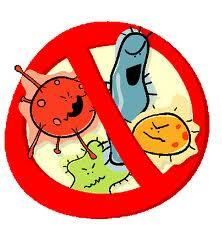 2nd – The reservoir host: The organism in which the infectious microbes reside. Host that do not show any outward signs or symptoms of a disease but are still capable of transmitting the disease are known as carriers. 3rd – The portal of exit: Route of escape of the pathogen from the reservoir. Example: Respiratory secretions, blood exposure, break in the skin etc. 4th – The route of transmission: Method by which the pathogen gets from the reservoir to new host e.g. direct contact air borne etc. 5th – The portal of entry: Route through which the pathogen enters into new host. 6th – The susceptible host: The organism that accepts the pathogen. The support of pathogen life and its reproduction depend on the degree of the host resistance. Post operative complications may either be general or specific to the type of surgery undertaken, and should be managed with the patients history in mind. Common general post operative complications include post operative fever, atelactasis, wound infection, embolism and deep vein thrombosis. The highest incidence between 01 and 03 days after the operation, specific complications occur in the following distinct temporal patterns: early post operative, several days after the operation, throughout the post operative period, and in the late post operative period. Post operative complications account for considerable human sufferings, increase the health care costs and can lead to post operative death. Respiratory like collapse/ consolidation, aspiration, pneumonia etc. Wound like- hyper tropic scar, keloid, wound sinus, implantation dermoid, incisional hernia Adhesion like- intestinal obstruction, strangulation Altered anatomy/ pathophysiology like- short gut syndrome, bacterial overgrowth, prostate surgery syndromes Susceptible to other diseases like- malabsorption,, incidence of cancer, tuberculosis and other diseases. The streptococcus is Gram positive spherical microorganisms characteristically arranged in chains and widely distributed in nature. Patient with streptococcal throat infection, throat carries and nasal carries are mainly responsible for spread of infection. Environmental contamination suggested that dust and fomites were more likely vehicles for spread of streptococcal infection that droplet spray. Klebsiella species have got general features like other enterobacteriaceae but are non-motile, capsulated and most strains saprophytic. They are found in natural water and detected as commensal in human and animal’s intestine. These display an opportunistic infection causing respiratory tract infection and wound infection. Post operative wound infections remain in important cause of morbidity. Over 70% of hospital acquired infections occur in patients who have undergone a surgical procedure. Of this wound infections are those that increase hospital costs and length of hospital stay the most. One average, wound infections prolongs the hospital stay of the patients by 07 days. Contamination is inevitable; especially in operations upon the patients with rupture or perforation of gastrointestinal tract as there is gross spillage contamination is also common in conditions with continuous drainage of faecal, tracheobroncheal or genitourinary discharge or actual drainage of purulent materials. Contamination may also result from poor surgical technique. Postoperative wound infections results from bacterial contamination during or after the surgical procedure. The infection usually involves the subcutaneous tissue. The clinical manifestation depends on the amount of contamination. If contamination is minimum and there is no injury and without any space, infection rarely occurs. Unnecessary trauma from retractors, inappropriate use of electro coagulation and gross legation of bleeding points, foreign bodies and dead space contribute a vital role in postoperative wound infections. Since even a major postoperative wound infection prolongs hospitalization and causes economic loss, every effort must be made to keep the infection rate low. The skin of the patient should also be disinfected before invasive procedures. The environment should be hostile to the multiplication of pathogens e.g. clean, dry, exposed to light and well ventilated. All instruments and equipments should be clean and dry. Invasive items should be sterilized and item in contact with mucous membranes, body fluids and potentially infectious materials should be disinfected. Bangladesh is one of the least developing countries suffering from population explosions with a growth rate around 2%. The economic status of great majorities of our population is very much below standard level. Most of them ca hardly afford to consume a minimum food. They live on hand to mouth. Quite a good percentage of people are deprived of having a regular two square meal. In such a condition we can easily guess the measurable condition of a person when he/she spend a major portion of his/her earning behind his health care. There are so many heart-touching incidence of selling lands and other valuable properties to meet up his cost of treatment for an illness. These problems are accentuated when he or she develop post operative wound infections during his or her post operative treatment in the hospital when most of which are preventable. In our country hospital bed population ratio is 1: 3204. More over in tertiary level healthcare bed utilization rate more than 100%. So one can easily imagine the tremendous pressure of patient on these government hospitals with limited facilities. Post operative wound infection along with the suffering of the patient increases the length of their stay in hospital. Due to over stay, bed utilization by the maximum number of patient decrease. So this issue a demand for increase number beds for optimum health care facilities for the other patients. More over auxiliary service facilities are also extremely limited. So considering the economical constraint and lack of resources, optimization of the existing health care facilities is going to be ensured. So there should be reducing in the incidence of post operative wound infection or complications which will ultimately reducing the average length of hospital stay of patient and thus contribute maximum utilization of bed by highest number of patient with the same resources. At present people are very much conscious for quality care services. Health authorities are thinking how to improve the quality of infection control services. In this situation nurse are the important care providers of hospital care facilities. They are close contact with the post operative patients as well as other patient of the ward. The study will gives us a view of the knowledge level of nurses about control of infection after major surgery regarding post operative wound infection, complication, post operative care, preventive measures, surgical waste disposal, types of antiseptic used during surgical dressing and knowledge of Personal Protective Equipment(PPE). The findings of this study will provide valuable information for further in depth as well as interventional study. The health planners may get guideline to formulate appropriate intervention strategies to raise the knowledge among the nurses. From this study it is expected that, the result would help the policy maker and program manager to take appropriate measure to prevent infection after any surgery. What is the knowledge of nurses regarding post operative wound infection in National institute of Disease of the chest and hospital ,Mohakhali , Dhaka-1212. To assess the nurse’s knowledge regarding post operative wound infection. 1. To determine socio demographic characteristics of the respondents. 2. To assess the knowledge and practice of senior staff nurses related to control of post operative wound infection. 3. To identify the hindering factors that’s barriers to providing better nursing care to control of post operative wound infection. Independent variables: Nurses knowledge about post operative wound infection. Educational qualification: Completed nursing diploma with highest educational level reported by the respondents. Knowledge: Knowing or understanding things/ facts regarding controlling post operative wound infection which includes hand washing, sterilization, aseptic technique and cleanliness with waste disposal. Practice: The activities/ performance denote by the senior staff nurses to minimize and control post operative wound infection e.g. hand washing, sterilization, aseptic techniques. Infection: The successful invasion, establishment and multiplication (growth) of microorganism in the living tissue of a host and producing signs and symptoms of disease is called infection. Post operative wound infection: Post operative wound infection that occurs within 10 days after the operation procedure and involves only skin and subcutaneous tissue of the area of incision. Infection control: Infection control is doing everything possible to prevent the spread of infection among patient, health care workers and visitors. Health awareness: Reported by the respondents. Surgical site infection: Infection in the surgical site that occurs within 30 days of the surgical procedures or within 01 year where there is placed an implant or foreign body such as prosthetic heart valve or joint prosthesis. Respondent: The responder of this study was nurses who are working in Dinajpur Medical College Hospital. Level of knowledge: In the study attempt was undertaken to determine the overall level of knowledge on post operative infection. The following were the limitation of the study: The study was carried out in a short period of time and the sample size was small, so generalization of the study findings cannot be made. The study place was selected purposively. The study was conducted only one hospital which can not reflect the actual situation of the country. Lack of facility hampered speedy outcome of the study. Enough literature could not be reviewed due to lack of resources. This study was approved by ethical committee of Atish Dipankar University of Science & Technology, Dhaka, Bangladesh. After getting verbal permission from the concerned authority of the selected district area pre tested & verified questionnaire were approached to the respondents. The information provided with the respondents was kept confidential & participants not to be used or known to any one except those conducting this study. Participants were free to refuge to answer any question partially or in whole & even could quit the study at any time of point. In a representative sample of US general hospital, the establishment of intensive infection surveillance and control programs was strongly associated with reductions in rates of nosocomial urinary tract infection, surgical wound infection, pneumonia, and bacteremia between 1970 and 1975, 1976 after controlling for other characteristics of the hospitals and their patients. Essential components of effective programs included conducting organized surveillance and control activities and having a trained, effective infection control physician, an infection control nurse per 250 beds, and a system for reporting infection rates to practicing surgeons. Programs with these components reduced their hospital infection rates by 32%. Since relatively few hospitals had very effective programs, however only 6% of the nation’s approximately 02 million nosocomial infections were prevented in the mid 1970s, leaving another 26% to be prevented by universal adoption of these programs. Among hospitals without effective programs, the overall infection rate increased by 18% from 1970 to 1976. A study conducted aimed to investigate nurse’s knowledge and practice of vascular access infection control among adult haemodialysis patients in the Republic of Ireland. A confidential self-completion questionnaire was sent to 190 qualified nurses employed in nine haemodialysis units in the Republic of Ireland which assessed knowledge and behavior in infection. Although 90% of respondents reported that policies had been developed by their units and 47% had received infection control education in the previous year, knowledge and adherence to best practice demonstrated significant scope for improvement. The study recommended the development of standard guidelines and regular reviews and updates of policies. Systems should be developed to ensure a high level of compliance. A study investigated the relationship among hospital nurses professional care obligation, their attitudes towards SARS infection control measures, where they had ever cared for SARS patients, their current health status, selected demographic characteristics, and the time frame of the data collection. An anonymous questionnaire survey was conducted to assess the extent to which hospital medical and nursing staffs were familiar with the written policies and procedures of infection control and their intended course of action in situation where no formal policies were available. All 25 full time medical staff below the grade of consultant and 70 of 163 permanent nursing staff caring for inpatients at one day shift was sampled. Nineteen (76%) medical and 56 (80%) nursing staff returned their copies. Nurses were significantly more familiar with all written policies and procedures than medical staff. They were also more likely to seek advice in situations where details of policies and procedures for infection control. Ways to educate and motivate staff to comply with infection control measures are urgently required; some degree of national standardization of polices and procedures in infection control is desirable. Knowledge, attitudes, and contact precaution practices were surveyed in nurses at Shiraz University of Medical Sciences. Two hundred seventy nurses, midwives, and auxiliary nurses completed a questionnaire consisting of 8 knowledge items with corresponding attitudes and practices items. Compliance with precaution practices was low, 19.5%, and little more than half, 51.8%, held positive attitudes toward the guidelines, whereas 65.5% could correctly answered all precaution knowledge items. Nurses with correct knowledge were 11.3 times more likely (p < .0001) to hold positive attitudes toward the guidelines and 14.2 times more likely (p < .0001) to comply with all 8 precaution practices, and compliers were 6.3 times more likely (p<.0001) to hold positive attitudes than non-compliance and positive attitudes. The proportion of nurses who held positive attitudes also had good knowledge, and compliance with practices was not abundant. Better training coverage may result in compliance with precaution practices becoming the norm. A study was conducted to investigate the knowledge and practice towards universal precautions among 540 health care workers and medical students in 2 university hospitals in Mazandaran Province of Islamic Republic of Iran. Only 65.8% and 90% staffs in these hospitals and 53.5% students had heard about the universal precautions. Overall there was a understanding of precautions except concerning disposal of sharps, contact with vaginal fluid, use of mask and gowns or cleaning spilled blood. Health workers had difficulty distinguishing between deep body fluids and body secretions that are not considered infectious. Good practice was reported regarding hand washing, disposal of needles and gloves, masks and gown uses. A study on the efficacy on Nosocomial infection control was to conducted to evaluate nosocomial infection prevention and control programs in hospital in the United States. The over all plan was to assess the surveillance and control activities in hospitals in United States in 1970 and 1976, to measured the change in the nosocomial infection rates from 1970 to 1976 as determined from a carefully conducted retrospective chart view, and to assess the influence of changes in these programs on infection rates after controlling for other changes that occurred during the interval. The study on the efficacy on Nosocomial infection control `bottom line` was that 32% of infections that would have occurred in the absence of well-organized infection surveillance and control programs were potentially preventable. A five-years surgical wound surveillance program included the following features: (1) observations were made by a trained nurse-surveyor; (2) all surgical services, without exception, were surveyed; (3) the nurse- surveyor reported directly to the Chief, Surgical Service; (4) all infected wounds and all suspected of harboring an infection were observed daily by the nurse- surveyor; (5) all wounds were inspected on the third and seventh postoperative days, at hospital discourage and at a follow-up clinic visit; and (6) cultures were obtained from all infected wounds. Data concerning infections for all surgical service were published each month at the mortality-morbidity conference. The numbers of wounds closed primarily and the number of infected wounds was recorded, together with calculations of wound infection rates by operation class, for each surgical service and for the whole hospital. During the study, the rates of wound infections progressively declined. The overall incidence decreased from 3.5% before the study began to less than 1%at its conclusion.16 A multidisciplinary performance improvement team, consisting of the chiefs of Cardiovascular Surgery and Infectious Disease, the nurse epidemiologist, the diabetes educator and the cardiovascular case manager, met to review cardiovascular surgery wound infection rates from 2001. After reviewing evidence-based literature, a gap analysis was performed to compare the hospital’s historical experience of clinical practice regarding pre-operative, intra-operative, and post-operative care of CABG surgical with national best practices. Five key clinical processes were identified: 1) hair removal at the surgical site by using clippers; 2) prophylactic antibiotic infusion time, 30-60 minutes prior to incision; 3) insulin infusion for 72 hours post-operatively for patients with hyperglycemia; 4) standardized post-operative wound care; and 5) use of antibiotic to nacres. After these five clinical processes were implemented, the hospital’s post-operative CABG surgical wound rate decreased by 57%, a decrease the hospital continues to maintain. The Joint Commission on Accreditation of Healthcare Organization (JCAHO) awarded BMC the Ernest A. Codman Award in November 2003. The study commented that it is possible, in a large tertiary-care center, to form a multidisciplinary performance improvement team that can impact patient outcomes. These clinical practice changes are now being instituted in other surgical services. Study population was the nurses working at national Institute of Disease of the chest and Hospital (NIDCH). national Institute of Disease of the chest and Hospital (NIDCH). The study period was 04 months from January 2012 to June 2012. The processing, analysis and compilation of data were done by using computers SPSS (Statistical Package for Social Sciences, version 16 windows) of soft ware. Values were expressed as percentage, mean, median, mode & standard deviation, non-parametric Pearson chi-square (X2) Test were performed as per required. The table shows the age group of respondents. Among the total 60 respondents, highest percentage 34.3%( n=23) of the respondents were within the age group of 41 years and above, followed by 35%(n=21) were within the age of 36 – 40 years & lowest percentage 1.6% (n=1) was of 21 – 25 years. The above Table shows that among the total respondents, majority 71.6% (n=60) were Muslims, 10.0 % (n=6), and 18.3% (n=11) were Christian by their religious belief. The table shows that out of all respondents majority 95.0 %( n=57) were married. The table shows that by Length of service, a major portion of the respondents 35.0% (n=21) had length of service of 21 and above years, Followed by 26.6% (n=16) had 11 – 15 years and only 3.3% (n=2) had up to 5 years of service length. The above table shows that majority 86.6% (n=52) received training on infection control in hospital. Table : Distribution of respondents by Professional education. Regarding the time for developing infection, four options (Within 48 hours, Within 1 week, up to 2 weeks. With in 30 days) were provided to the respondents. The table shows that majority 75.0% (n=45) respondents could answered all options. It should be noted here that the all the options was the correct answer. The table shows that only 8.3% (n=5) respondents could answer all options (total options eight). The table shows that majority 38.3% (n=23) respondents could answer all options. It should be noted here that the all the options was the correct answer. The above table shows that only 23.3% (n=14) respondents could answered all options. Though a major part 30.0% (18) could mention three names of mode of transmission of post-operative wound infection. The above table shows that 48.3 %(n=29) respondents could answered all options (Here all the options were correct answer). The above table shows that 36.6% (n=22) respondents could answered all options (Here all the options were correct answer). The above table shows that 45.0% (n=27) respondents could answered all options (Here all the options were correct answer). The above figure shows that 30% (n=18) respondents could answered only one options, 30% (n=18) respondents could answered only two options 40 %( n=24) respondents could answered only two options (Here all the options were correct answer). A cross-sectional study was conducted to assess the knowledge of registered nurses about post operative wound infection among a total of 60 respondents, among which height percentage 41 years and above were 23 (38.3%) 35% were within the age of 36 to 40 years. Among the total respondents majority were female (85%). By basic educational level about 2 third S, S, C (n=40) 66.6%, H.S.C level 20.0% (n=12), 10.0% (n=6) had Bachelor Degree, 3.3% (n=2) had Masters Level of basic education. Most of the respondents in the study were Married 95.0% (n=57) & only 5.0% (n=3) were unmarried. By professional education among the respondent majority had diploma in Nursing 75.0% (n=45) & 8.3% (n=5) had Masters Level of professional education. One third of the study population had above 21 years of service experience i.e. 35 point 35.0% & only 3.3% (n=2) had up to 5 years of service length. Akter MM Conducted a study to see the status of knowledge on control of infection after major surgery among a total 60 nurses from different wards of Sador hospital, Joypurhat in 2008. In that study most of 86% of the respondents were female and majority had the age of 40 years and above. By basic educational qualification majority had S.S.C level of education and by professional qualification, three fifth 65% had diploma in midwifery and one third 34% had Bsc in nursing and few of them had masters. Half of the studied nurses received training on infection control and about cent percent of the nurses had knowledge on major surgery. A great profession of respondent received training on infection control in hospital i.e. 86.6% (n=52) & only 13.3% (n=8) had no training. Regarding the time for developing infection highest no of respondent 21.6% (n=13) answer 07 options & only 3.3% (n=2) could answer 2 options. Majority 40.0% (n=24) could answer all four name of micro organisms responsible for post-operative wound infection. Regarding knowledge on mode of transmission of infection majority respondent answer all options (26.6%) & only 20.0% (n=12) answered only 2 option, knowledge on Antiseptic for hand washing majority respondents (48.3%) could answer all options & only 15.3% (n=9) could answer only 1 option. Most of the respondent had knowledge Antiseptic for surgical dressing i.e. 40.0% (n=24) could answered 2 options & 36.6% (n=22) respondent could answer all options. Regarding knowledge on management of post-operative patients 45.0% could answer all options & only 1.6% (n=1) could answered 2 options, knowledge on preventive measures of post-operative wound infection 18.3% (n=11) respondents could answered all options only 6.6% (n=4) respondents could answered two options. In this study among 24 respondents could answered only 2 options & only 30% (n=18) respondents could answer only 1 options regarding knowledge on methods of sterilization of surgical instruments. A study conducted aimed to investigate nurse’s knowledge and practice of vascular access infection control among adult haemodialysis patients in the Republic of Ireland. A confidential self-completion questionnaire was sent to all 190 qualified nurses employed in nine haemodialysis units in the Republic of Ireland, which assessed knowledge and behavior in infection control. Aart V and Swapna N. conducted a study in India among 50 registered staff nurses working in medical, surgical wards and Intensive Care unit. Out of them, 66% were diploma nurses and 34% of them were graduates. The majority i.e. 70% of the subjects had experience of 0-5 years and 24% had work experience of 6-10 years, rest 6% had experience ranging from 11-16 years, 60% of staff nurses had not received continuing education where as 40% had undergone training such as in service education, short term course, and training programs. The aim of this study was to see the nurse’s knowledge regarding post operative wound infection. Table No-7 shows nurse’s knowledge regarding source of post operative wound infection, only 8.3% of the respondents answered all options (total 08 options). Table No 8 shows time for infection development, 38.3% respondents answered all options (total 04 options). All options were correct. Table No-13 shows 45.0% respondents answered all options regarding management of post operative patients. All were correct options. So the study concluded that more or less one third registered nurses have appropriate level of knowledge on post operative wound infection control and some proportion do practices their day to day activities related to infection prevention in their working place appreciably. Their knowledge regarding post operative wound infection were found more among those who had higher level of professional education like service length, professional education and training on infection control. 1. Periodical training or refresher course on post operative wound infection should be organized for all level of nurses. 2. Training course should design more lively and practice oriented. 3. Proper monitoring and supervision on day to day activities of all level of hospital staff should be strengthen especially focused on post operative wound infection. 4. Adequate logistics support should be provided in hospital to ensure proper control of post operative wound infection.